I’ve always had good luck with places to live. Well, caveat: the first place I lived in LA was with a certifiable wacko (only ate Lupini beans at each meal, accused me of trying to steal her identity, exercised buck naked, broke glass when she got angry), and the police were kind enough to come and hang out while I packed my stuff. But, hey, her apartment was really nice! After the Laura incident, I moved about eight times over the next five years, mostly for financial reasons, both good and bad. I’d tour a million apartments, but I’d somehow just know when I found my next home. This happened time and time again. I’d walk into a place and get my trusty gut instinct, and I knew I’d be pocketing the keys within the month. So, a few years ago, when my husband and I were looking for a place to live, we did the same touring dance. The clock was ticking and we just couldn’t find something that fit. Everything was too dark, too small, or too pricey, or if we actually liked a place, then someone would outbid us before we could even send in our paperwork. And then, one fateful day, I walked into a bright, airy condo and got my gut instinct. This was our new home – I could feel it. This place was special. Sure, it had plenty of natural light, lots of space, and trees galore, but there was more to it. As we rushed to close, we were amazed to find out that our condo had been owned by none other than BUZZ ALDRIN. Buzz “Lightyear“ Aldrin! Now, I’ve always been a bit of an astronomy nut. I did two years of engineering in college with the idea that I would somehow work for NASA despite my atrocious grades. I long ago memorized the intro to Star Trek: TNG (they changed it to say “where no one has gone before,” instead of “where no man has gone before. Progress!). My husband proposed to me at my favorite place in LA, the Griffith Observatory. I was at the gym when the last shuttle blasted off, and yes, I cried a little on the treadmill (also because running is hard). One of my favorite movies of all time is Contact. 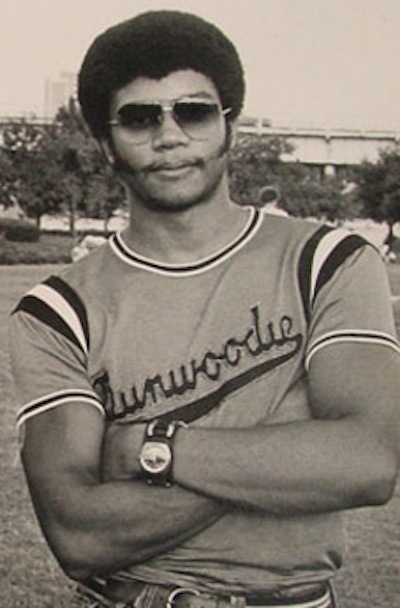 I have a small, manageable crush on Neil DeGrasse Tyson. Who wouldn’t?! The point of this long-winded introduction is that Sunday, July 20th, is the 45th anniversary of the Apollo 11 moon landing. On that fateful day 45 years ago, there were only 3 people not on Planet Earth. Can you imagine? The rush of blasting into orbit, the long darkness of space, approaching the cold, silent, moon, heart racing, ladder descending, and then, almost afraid to breathe, is it really happening, terror, adrenaline, the biggest moment of your life – stepping down onto the moon. Imagine. The power of words, the power of images. The lunar landing was live-broadcast (16mm film!! ), and millions of people watched Armstrong and Aldrin moonwalk. Sure, cynics, tell me that it only happened because we were desperate to beat the Russians up there, tell me about all the politics and money poorly spent, tell me whatever you want – it’ll never change the fact that when I look up at the moon, and I remind myself that people actually stood up there, looking back at the rest of us on Earth, I’m dazzled and thrilled and inspired and astounded. My own personal tie to Buzz Aldrin makes me feel special, even though we’re not sure that Buzz himself ever lived in our condo, or if it was more of an investment property. Maybe, at some point, Buzz (we’d be on a first-name basis, ‘cause Buzz would get me) used the same bathroom that I use, and I can be satisfied with that for the rest of my life. In his recent AMA on reddit, he used these beautiful, chilling words to describe the moon: magnificent desolation. Poetry, right there. With those two words, I’ll get as close to the moon as I ever could.